IWF 2016 continues to be the most successful show to date for IMA/Schelling America. With a larger booth than 2014, comprised of over 9,000 of st. ft, IMA/Schelling demonstrated their role as an industry leader in a joined partnership with Priess & Horstmann. Throughout the duration of the show, companies visited the booth to view live demonstrations of IMA/Schelling’s newly enhanced technology including the new automated edgebanding series – Novimat Compact R3 & L12. 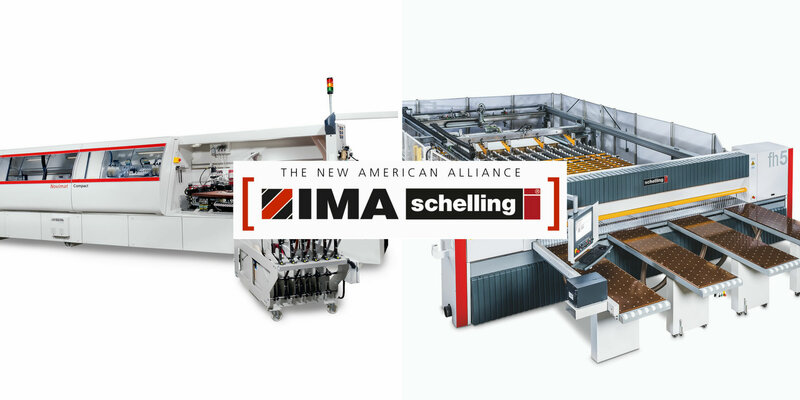 As might be expected from the inventors of the laser edgebanding process, IMA/Schelling exhibited their leading role in fulling the markets demand for jointless edge processing through the Novimat Compact R3 which was equipped with an IMALUX Laser. In addition to the premium quality edge banders, IMA/Schelling also offered live demonstrations of the perfect cut quality of the new fh5 linked to Schelling’s fully automated board storage and retrieval system, type vs. The live demonstrations within the booth created high traffic, an increase in lead generations, and continues to pay off through machine orders.